A wardrobe is the most important thing as a comfortable bed in bed room. The function matters a lot because wardrobe helps you to keep your many stuffs. 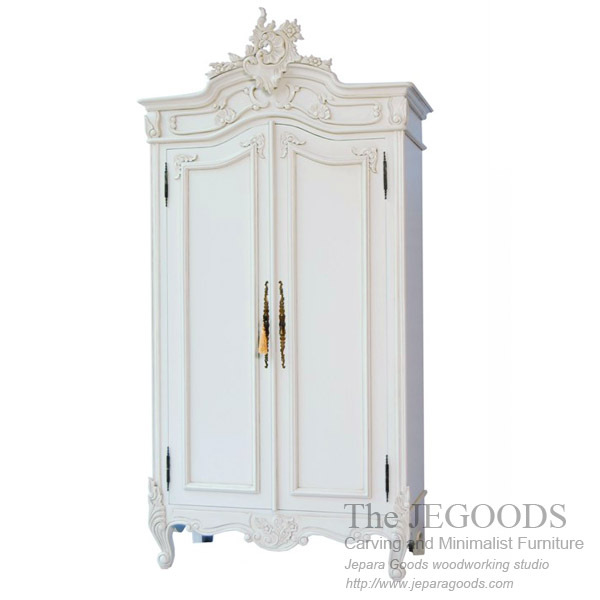 For you who loves about classic carving furniture style, we produce Wardrobe Carving French of Rococo. This is our french carving rococo furniture style, it made of solid mahogany wood by skilled carver from Jepara, Central Java, Indonesia. All of our painted furniture is made for export quality, at most competitive price.